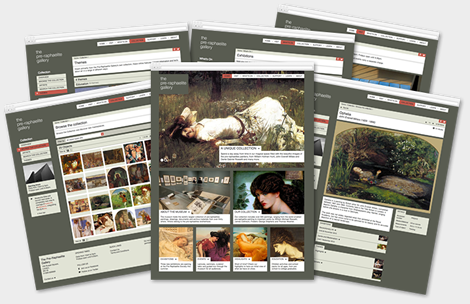 Museums Sites is a new service specifically designed for small and medium museums. Museums Sites offers museums, art galleries, collections and archives everything they typically need to manage their collection and publish their entire website, within a single, comprehensive and affordable package and software. In terms of managing their information, typically museums use multiple software applications, resulting in duplicated and out-of-date content as well as in higher costs for licenses and maintenance. Integration between separate content repositories is also generally an issue, resulting in extra costs and inefficiencies. For websites, while large and well-funded museums may be able to afford the design and development of bespoke websites, usually most small and medium, regional museums cannot justify its cost: they either have to make do without a website or with a poor quality one. Museums Sites offers museums a comprehensive website integrated with a professional, state-of-the art collection and content management software: the website has templates to display the museum collection online, as well as exhibitions, events, visitor information, contact forms and any other feature that a typical museum will need to promote its content. Museums who already have an existing website or an existing collection management system can use only the features they need, integrating with their current software. A range of add-ons is also available, from bespoke design, selling of products and tickets, donations, professional copywriting and image generation as well as advanced interactive features, such as maps and timelines. Museums whose paintings have been digitised by the Public Catalogue Foundation (www.thepcf.org.uk) for Your Paintings (www.bbc.co.uk/yourpaintings) can have their collection imported free of charge.